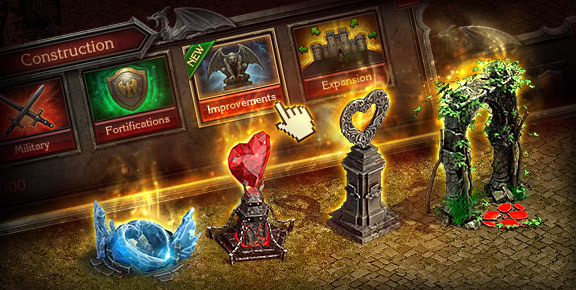 Celebrate Valentine's Day by decorating your Castle with new Improvements! Aside from merely adding to the glory and grandeur of your Castle, each Improvement also raises your Castle Defense Bonus! The new Improvement Items are available in the Construction Menu under the Improvements tab. Awe your allies and intimidate your enemies with new Improvements!